With all the Sewing Party talk, I thought I would examine home stitching in my every day life. 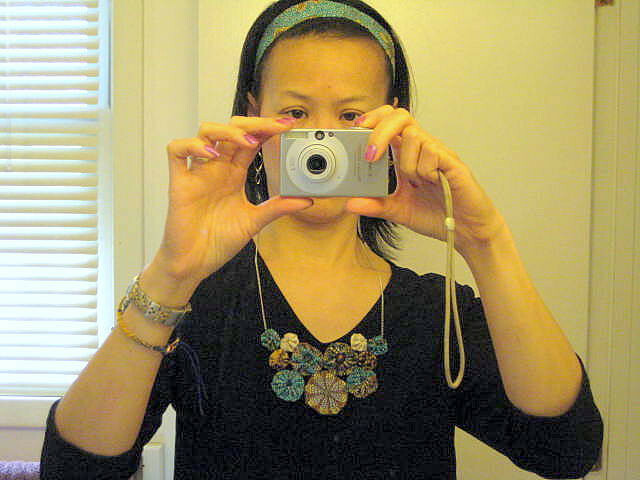 Here is my outfit from Sunday — a yo-yo necklace and matching headband. My purse is also home stitched. 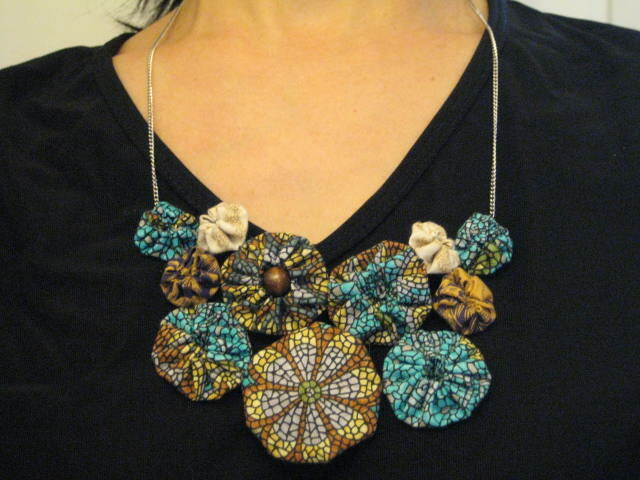 If I were to make the yo-yo necklace again, I’d attach the chain to make a narrower opening — between the center and white yo-yo’s, instead of the outer edge of the outermost yo-yo’s. As it is now, the bib wants to fold in the center. Maybe my neck is smaller than average; I’ve had similar issues before. I asked my youngest if I could wear her headband because it matches the yo-yo necklace. 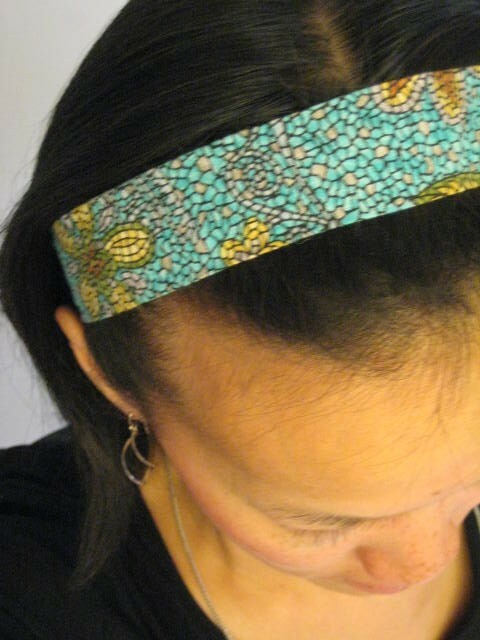 Being older, I feel that most of the time, I shouldn’t be calling attention to my headwear, opting for more grown-up headbands in tan, brown, and black. But hey, it’s sunny out for once! Time to celebrate with a little color. 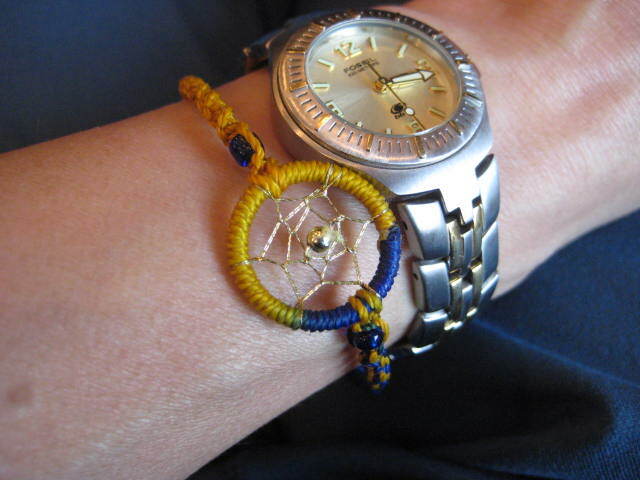 I am also wearing a dream catcher bracelet. In my dedication to the Lakota people whom I had the honor of serving last August, I like to wear it in public and private to remind myself of sacrifices and privileges, needs and wants, simple and overdone lifestyles. It was handmade by someone (not me). 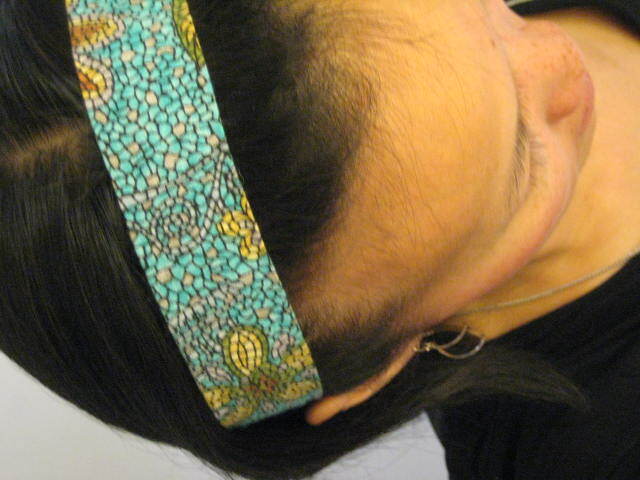 This entry was posted in crafting and tagged headband, purse, sewing, yo-yo necklace. Bookmark the permalink.